The Creasy Family has been building homes for Central Virginia families for over half a century. As a third generation member of a Lynchburg-area construction trade family, Thomas Creasy and his relatives have been building new homes for central Virginia families for more than half a century. Thomas’ father, Thomas Creasy, Sr., started building homes in the 1950’s. 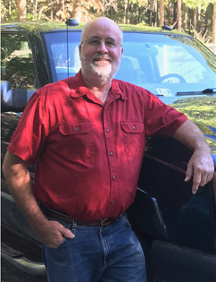 In the 1970’s, Thomas B. Creasy, Jr., having grown up in the building business, joined his father in sharing their family’s passion for constructing quality custom homes in the scenic environs of the foothills of the Blue Ridge Mountains. As the youngest member of the Creasy home building legacy, Thomas has taken the proven method of “tried and true” construction craftsmanship established by his father and has combined that with the latest innovative ideas of custom home design. This philosophy has created one of the most respected and recommended residential construction companies in the central Virginia area. Thomas Creasy is truly a Home Builder. Unlike general contractors who assemble a revolving-door assortment of sub-contractors from a remote office, Thomas knows construction. He is a Class A Contractor and is a hands-on craftsman. And for those specialty areas where licensing and expertise – such as electrical and plumbing – are required, Thomas is on-site to oversee the scope of the project. Your satisfaction will always be of utmost importance during the home building process. Thomas will keep you up-to-date as progress on your dream home unfolds. And while the completion of your house is a huge milestone, he realizes that his job may not be complete. He will be happy to supervise additions to your home such as landscaping, pools, decks and patios. Whatever the size of your project, from “sandbox to castle,” it will receive the concentration, dedication, and attention to detail it deserves. It will not be done tomorrow, because nothing of quality ever is. But it will be done in a timely, efficient and professional manner. Thomas B. Creasy, Jr. Builder — over 40 years of experience in custom residential home building. Copyright © 2019 Thomas B. Creasy, Jr. Builder, Inc. | All Rights Reserved.